The lights shone brightly as the sun dipped below the horizon. On the field, it was time for the game between Brentsville District High School and St. John Paul the Great to finally take place. Throughout the first quarter, it seemed the Wolves were a little too pumped up. 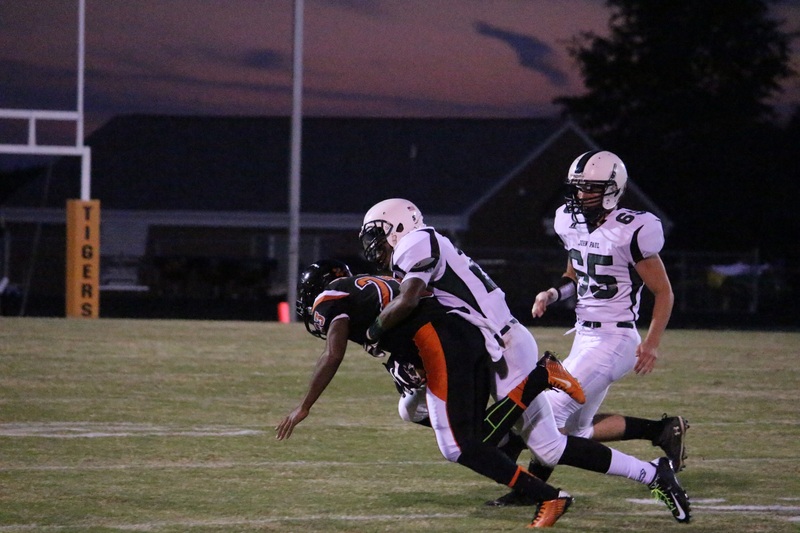 While no points were yielded, Brentsville threatened multiple times. Their drives would stall without producing a result, and the defense would give way to a JP offense chomping at the bit to take an early lead. However, the offense could not mount any serious threats and the first quarter ended very quickly in a scoreless tie. 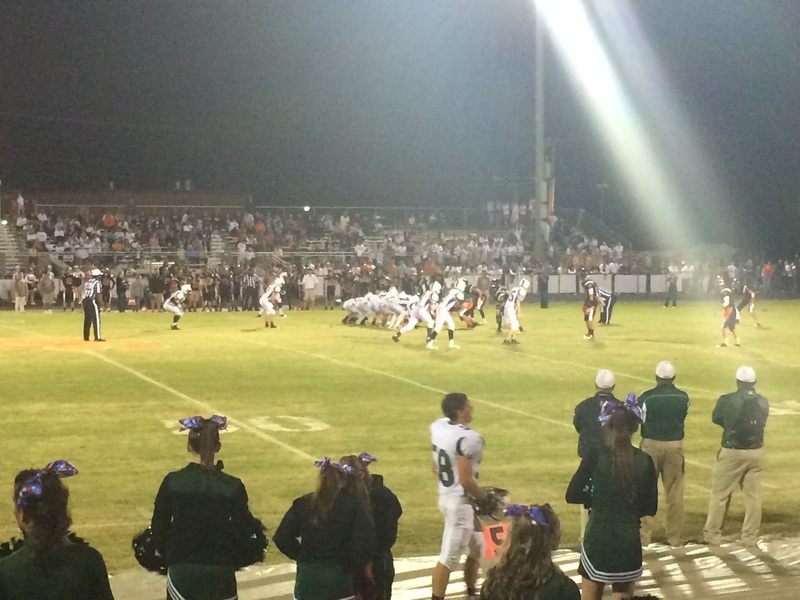 Early in the second quarter, the Wolves were backed up on their own side of the field and were forced to punt the ball away. In a similar fashion to the Denver Broncos on the first play of the Super Bowl, the snap sailed over punter Matt Nguyen’s head and out of the back of the end zone. 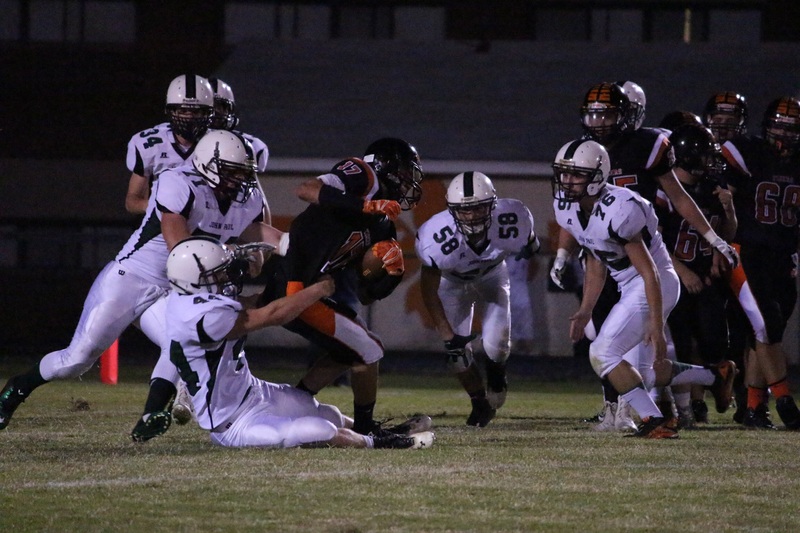 Brentsville took a 2-0 lead on the safety and the Wolves still seemed a bit flustered. The quarter continued at a rapid pace before the Tigers found the end zone for the first time with just over a minute to go before halftime. After the extra point it was 9-0 Brentsville. It seemed that the Wolves were going to need to go into halftime and find a way to rally in the last two quarters. However, as stated, there was still about a minute left; just enough time for the Wolves to try and get on the board. From the Tigers’ 40 yard line JP was down to their last play. Brandon Perroots took the snap and threw it a few yards downfield to fellow junior Michael Horan. Behind strong blocks from the rest of the team, Horan was able to cut and run his way into the end zone as time expired. 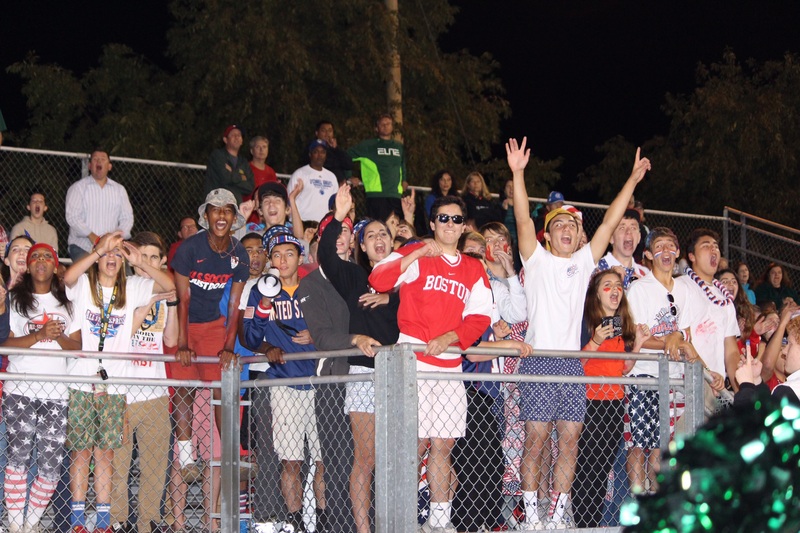 The John Paul crowd went crazy, and after a successful extra point, the Wolves were pumped up; only trailing by two after a blistering first half that ended in about 45 minutes. Not only did JP score on the final play of the first half, but they also received the kick-off to begin the second half. 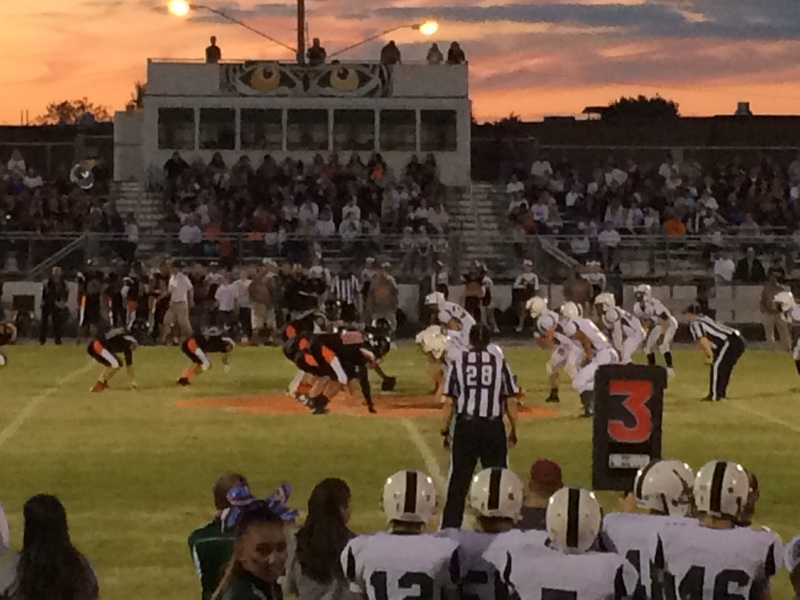 The Wolves drove down into the red zone, but a fumble turned the ball over into the hands of the Tigers. 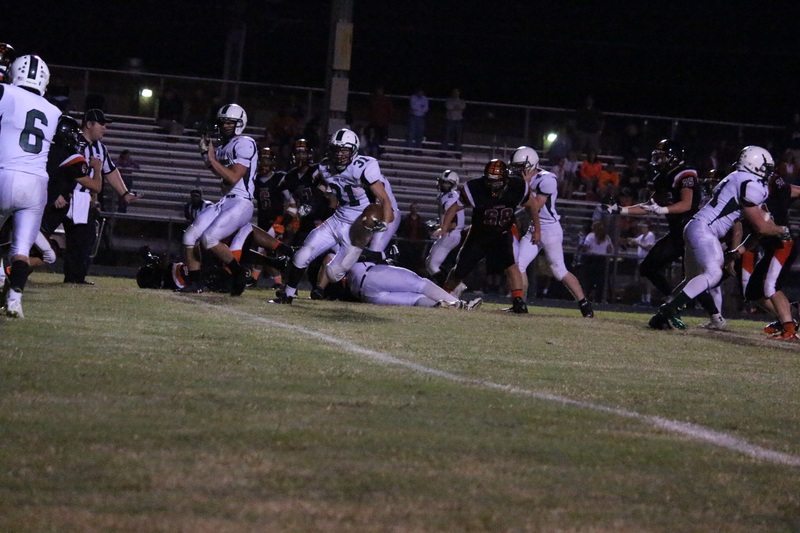 No harm was done though, as Brentsville went three and out on the ensuing drive. With 5:06 to go in the quarter, John Paul converted a long third down and were once again inside the Tigers 20 yard line. This time, there would be no turnover. On the next play, Horan scored his second touchdown of the game on a 12 yard run and the crowd was delirious as the Wolves were on top for the first time. Perroots rushed for a successful two-point conversion and John Paul now led 15-9. That scoreline would remain the same as the game entered the final quarter of play. Behind strong performances on the offensive line from seniors Ryan McFadden and Conor Zicht, and junior John Simms, the Wolves were able to once again rush the ball down the field. Horan added his third touchdown on an 11 yard run with 7:35 to go to make it a two possession game. The added cushion provided additional motivation for players on both sides of the ball, and the defense held steady. Less than two minutes later, the Wolves put the game on ice. Horan took the ball 60 yards to the house and both the team and the fans lost it. Victory was within striking distance, and it seemed to be only a matter of time until the result was made official. 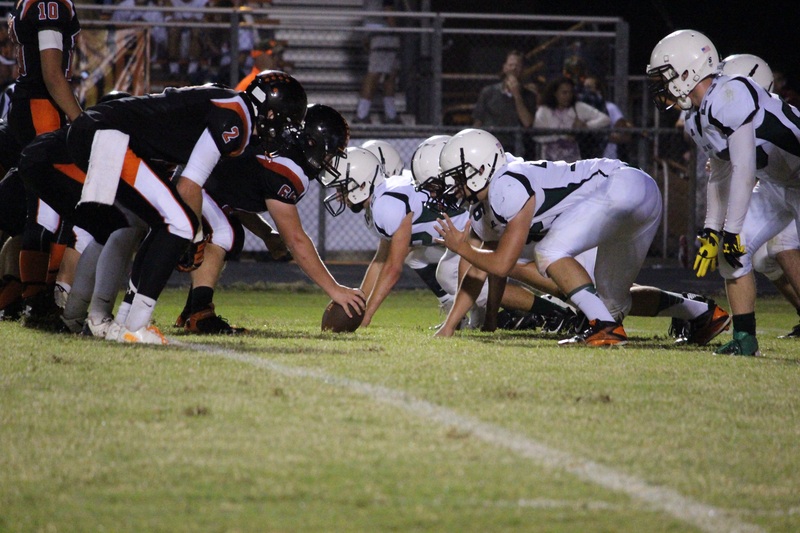 The nine early points proved to be the only nine the Tigers of Brentsville could muster. 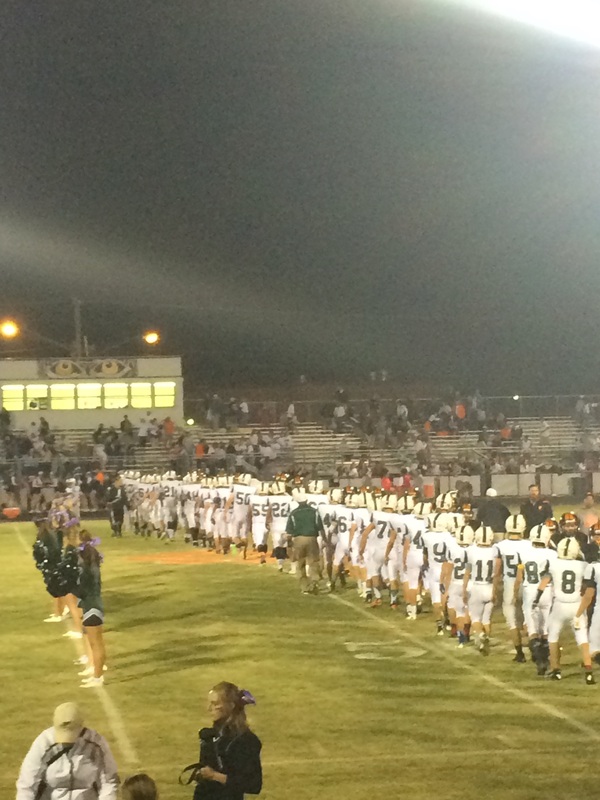 John Paul scored 28 unanswered points to emerge the 28-9 victors of an intense game. It was an all-around effort for John Paul. While Michael Horan accounted for all four tochdowns scored, the offensive line paved his way to be able to gain his yards. On defense, after a somewhat rough beginning, they re-grouped to hold the Tigers off the board the entire second half. All in all, it was quite the game. The crowd was pumped, the students cheered, the players celebrated, and the Wolves fought as a pack to extend their winning streak to four. On October 4th, this coming Saturday, football travels south to undefeated Fredericksburg Christian Academy at 2 pm. Also, if you would like to subscribe to this site via email, enter your email in the box on the right side of this page. You will not receive any junk mail, only a message when there is a post. This entry was posted in Football, Home, Men's Sports and tagged Brandon Perroots, Brentsville District High School, Conor Zicht, John Simms, Matthew Nguyen, Michael Horan, Ryan McFadden, St. John Paul the Great, Tigers, Wolves. Bookmark the permalink.